It’s that time again, when we go over everything we’ve learned and read and done over this terrific year. We have so much big news to recap for the year 2006, that for the first time we’re splitting our year in review up into parts. Tonight we recap the year in Harry Potter movies – with the year in fans and books to come tomorrow and on Sunday. Huge thanks to Sue for pulling the links and everyone who helped out with this! Read on, because it’s been a great year, that sets up a 2007 to beat all. In January, the Goblet of Fire film passed $800 million at the international box office, and shortly thereafter the Prisoner of Azkaban DVD became a Top 10 bestseller. We soon found out the Goblet of Fire DVD would be released in high-definition, and on Jan. 5 the release date was revealed as April 11. That same day, the movie hit number one in worldwide box office. On Jan. 9 it was nominated for a Visual Effects Society Award, revealed to be in consideration for sound editing Oscar, and responsible for setting an IMAX record. On Jan. 10, WB opened (wide) casting for Luna Lovegood, offering an open call to which thousands turned out. The competition was whittled down to 400 candidates on Jan. 17, the same day Goblet became one of the top 10 grossing films of all time. Later, we learned that Goblet received three BAFTA nominations as well as a nod at the AOL Moviefone Awards. On Jan. 27, rehearsals began for Harry Potter and the Order of the Phoenix with a script read-through, which was shortly follwed by the announcement of casting for Kingsley Shacklebolt and Young James Potter. Goblet was nominated for an Oscar to round out the first month of 2006. February got off to a big bang with major casting announcements for Luna Lovegood (Evanna Lynch), Tonks (Natalia Tena), Bellatrix (then Helen McCrory) and confirmation of the much-rumored Imelda Staunton as Umbridge. We got our first glimpse at Evanna Lynch, and WB also confirmed that production would begin Feb. 6. Later we learned that Trelawney was in, Mundungus was out of the fifth film, right before the first photos of Hagrid’s hut surfaced. A light month, we got a quick update on Order of the Phoenix, revealing that Grawp and Centaurs had been filmed. On March 7, the Goblet of Fire DVD is released in the US and Canada. The first rumors of the July 13 release date surface. The Harry Potter films won the Oustanding Contribution awards at the Empire Awards. On April 1, nothing extraordinary happened on Leaky at all. Later, J.K. Rowling updates her site, mentioning her visit to the OotP set and meeting Evanna Lynch for the first time. That day, WB also confirms July 13 as the release date for the fifth film. 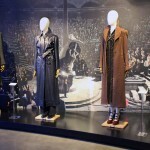 The next week, Leaky unveiled its countdown clock for the film, and on April 20 revealed that Jim McManus would play Aberforth Dumbldore in Order of the Phoenix. A few days later, Rupert Grint spoke about the DA and Room of Requirement, while a new composer, Nicholas Hooper, was rumored to score the film. Leaky later revealed that Tony Maudsley would play Grawp in Order of the Phoenix. In May, we got the first reports that Trelawney being sacked was being filmed, right before WB confirmed Emma Thompson to return in her role, and then confirmed Hooper as composer. We received a rumor of OotP filming near Tower Bridge, which later turned out to be the scene where Harry flies to 12 Grimmauld Place. On May 25, we had a major casting change, as Helena Bonham Carter took over for the pregnant Helen McCrory. The month ended as filming began in Scotland for the fifth film. We got our first set photos from the Scotland filming on the first day of June, to be follwed by photos of filming on the River Thames. Later we found out that the fifth film is to be simultaneously released in IMAX as general release. On the 25th, Matt Lewis, Emma Watson and Rupert Grint attended the Queen’s Birthday at Buckingham Palace, at which they debuted a parody sketch involving the Queen’s handbag. Later on, the new Young Sirius Black, James Walters, discussed his role; Dan, Emma and Goblet were nominated for SyFy Genre Awards, and WB said its products for the fifth film will skew older to match the growing characters. July brought our first photos of Privet Drive for Order of the Phoenix, which were quickly followed by more; a good promo image of Harry from Order of the Phoenix was also revealed. Goblet won three DVD Awards. After rumors surfaced that director M. Night Shyamalan was being considered to direct HBP; he appeared on PotterCast, Leaky’s Harry Potter podcast and said, “I would be the greatest protector” of Rowling’s work. In mid-July, Electronic Arts announced it would make the fifth video game available on the Nintendo Wii, allowing users to do spells via arm movement rather than joystick button. Meanwhile the Goblet vid game was nominated for Joystick Awards. Cinesite also ran a feature on the Goblet of Fire film. Evanna Lynch gave her first interview since being cast as Luna Lovegood, calling Luna a “breath of fresh air.” Dan Radcliffe and David Yates appeared briefly in a Comic-Con video, discussing OotP. Lastly, the Potter merchandise license was transferred to NECA. August began as WB issued a release officially announcing Helena Bonham Carter and Nicholas Hooper as Bellatrix and the new composer, respectively. The next day we got a Order of the Phoenix filming report, which was quickly followed by the first news that the Half-Blood Prince film release date had been set for November 2008 (and later confirmed for Nov. 21 of that year). We got our first look at Dudley in the Order of the Phoenix film, a look at Young Snape from the Pensieve scene and the first shot of Tonks. Goblet won at the DVD awards, Dan Radcliffe spoke about Equus and the remaining films, and Matthew Lewis appeared on PotterCast to speak about Neville’s rapid change through film five and more. Dan Radcliffe, Katie Leung and David Yates were interviewed; Goblet of Fire won at the ‘Teen Choice Awards’, and Emma Watson and Dan Radcliffe were reported to have prefect-worthy school marks. We also got news of Jessica Stevenson cast as Mafalda Hopkirk, as well as Rupert Grint and Tom Felton confirming that they will return for Half-Blood Prince. 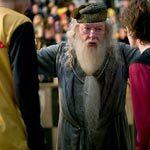 Quidditch gets the axe in Order of the Phoenix, though the video game preview promises that nothing will be lost from the video game. The New ITV drama “My Boy Jack” announces that Dan Radcliffe will star, while WB adds a new section to its official Harry Potter Web site. September begins with Hogwarts, as it should, as we got new Order of the Phoenix set photos. Rupert Grint and Julie Walters talk about boggarts and more from Phoenix, while Alec Hopkins, the new Young Snape, talksabout his role. We got our first glimpse of Kingsley, saw Dan Radcliffe in “Extras”, and heard Rupert Grint talk about how ‘No one really dies in Harry Potter.’ Phoenix products are reported to include remote-controlled vehicles and magical creature action figures. On Sept. 23, Leaky report from the set of Order of the Phoenix; later rumors surface that Half-Blood Prince will film in New Zealand. Late in the month, J.K. Rowling comments on Robbie Coltrane for an ITV special while Newsweek interviews Emma Watson, Dan Radcliffe and more from the set of Order of the Phoenix. We then got a new batch of official photos from the film, a high-res look at Dumbledore’s Army, the Trio, Umbridge and more, followed by more high-res glimpses at Luna, Harry and the Dursleys. David Yates is rumored to direct Half-Blood Prince, and we find out that Luna’s radish earrings were designed by the actress, Evanna Lynch. We got our look at the official Harry Potter and the Order of the Phoenix logo, got some info on the trailer from Rupert Grint, learned that Grawp would be a live-animated character, got some more gripes about the films from Terry Gilliam, heard yet more director speculation (this time from Rupert Grint re: Christopher Columbus’s possible return), got a new set report featuring thestrals, and learned – to much groaning fandom-wide – that while the teaser trailer would be out on Nov. 17 with the film Happy Feet, it would not appear online until Nov. 20. Later, Newsweek again interviewed Dan Radcliffe; we got a first look at Arthur Weasley; Goblet was nominated for a kids’ BAFTA, and David Yates said that he shot a three-hour film (which would be whittled down to the usual two-and-a-half-ish). November brought a ton of interviews: Helena Bonham Carter makes her first public statements about Bellatrix, Rupert talks about Quidditch, Jason Isaacs discusses Phoenix and Sirius Black, Alfonso Cuaron talks about possibly returning, Emma Thompson talks about Trelawney and Umbridge, and Emma Watson appears at Oxford and talks about Evanna Lynch, Director Yates, and more. At this point, rumors for the director of HBP are still unfounded. Leaky reveals an early transcript of the teaser trailer, and we soon discover that the trailer is 54 seconds and rated PG. The first poster of Order of the Phoenix is revealed, and high-res photos of Sirius, Umbridge, the Kiss, and more, are revealed, along with a Leaky first look at Bellatrix. Bowing to intense demand, WB releases a 10-second clip of the 54-second trailer online on Nov. 17, and goes live with their US and UK official Web sites. For a little break in all the trailer madness, we get pictures of Bonnie Wright lighting the Marylebone Christmas lights in the UK. On Nov. 20, we got the first details on HBO’s Phoenix sneak-peek, just as the official teaser trailer went live online. We then released our shot-by-shot and uploaded the trailer in iPod format in Leaky’s video gallery. MTV posts a huge preview of Order of the Phoenix, with photos of the ministry set, the fountain and the writing on Harry’s hand. A new E! video from the set also debuts, including interviews with Radcliffe, Thompson and Yates. EA officially announces its video game just as HBO’s sneak peek video reveals a tremendous amount of information, including a first look at the veil room, the prophecy, Grawp, the thestrals and more. The trailer comes online in high-definition, while the LeakyMug releases its set report preview, talking about Grimmauld Place, Azkaban and more. In his fan newsletter, Dan Radcliffe says he would “walk on hot coals” to work with David Yates again; meanwhile high-res OOTP screencaps become available, along with rumors of the first official DVD commentary – just as we confirm that WB will take the Harry Potter DVDs off shelves in January, 2007. December begins with big movie news as yet another behind-the-scenes preview, this time on ABC family, reveals scenes with Bellatrix, the Weasley Christmas, tonks and more. We get a first look at the new Order of the Phoenix toys, and David Yates tells Newsweek that the most important thing on screen is the actors. Premiere magazine also previews Order of the Phoenix, while a new high-res still of Dan and David Yates is revealed. Dan and Emma Watson make the Top 25 on IMDB’s starmeter. Alfonso Cuaron and his friend and director Guillermo del Toro talk about the death of Harry, and Cuaron again mentions a tie between the Prisoner of Azkaban film and Half-Blood Prince (the novel), while once more reiterating his interest in directing another Potter film. The once-promised announcement of a director of Half-Blood Prince by Christmas has not occurred, and we enter 2007 with the fifth movie fast approaching, most of the stars signed for the sixth film, and, unsurprisingly, directors starting to drop hints about their willingness to devote themselves to what we now know as Harry Potter and the Deathly Hallows.